If places were songs, the number “Don’t Worry Be Happy” would probably be Goa. Goa is largely synonymous with beaches and the hippie movement in India. But beyond these, the state has a fascinating history lined with Portuguese influence. 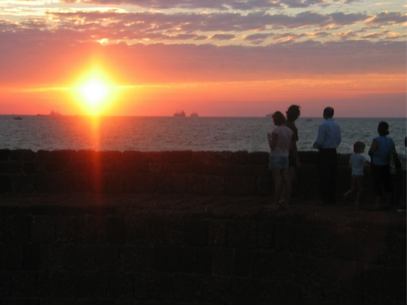 Fort Aguada is one such remnant. 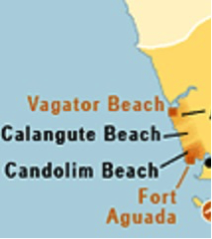 Located just ahead of Candolim beach in Bardez (North Goa), Fort Aguada is an exception to Goa’s coastal terrain. Moderate forest cover, gradual ascents, lower temperatures and winding roads, all make it ideal for a drive. 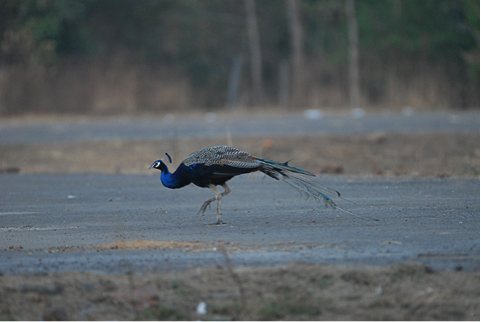 One can often sight peacocks darting about, which are native to the Fort and its immediate terrain. More than 400 years old, it was built for defence and replenishing freshwater to ships which docked there, thus earning it the name ‘Aguada’, from ‘Agua’ meaning ‘Water’ in Portuguese . The Fort once covered the entire peninsula, but today most of it is in ruins, ravaged by time and dotted with foliage. The main ramparts, since Goa’s Independence, have been converted into the Aguada Central Jail. Open to visitors during the day, the jail co-exists alongside two 5-star hotels, a gentleman’s club and a fortified Raj Bhavan right after it (Prison breaks, anyone?). Crossing Raj Bhavan and reaching the tarmac’s end, one reaches Sinquerim beach. While this reminds us how Goa always ends up at a beach, the real story of Fort Aguada lies in its walls that housed lords and prisoners and their ability to endure, with Aguada’s moats being the deepest in India even today. 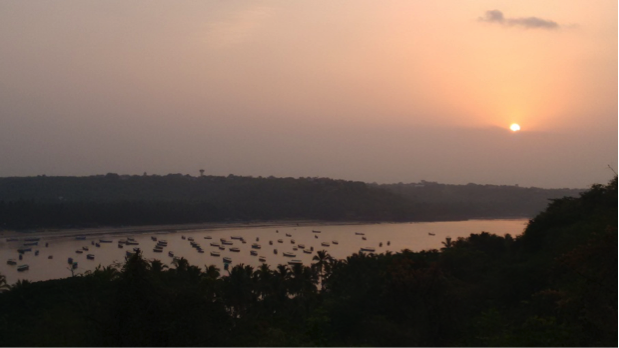 a) The most fulfilling activity at the Fort is catching sunrises and sunsets. 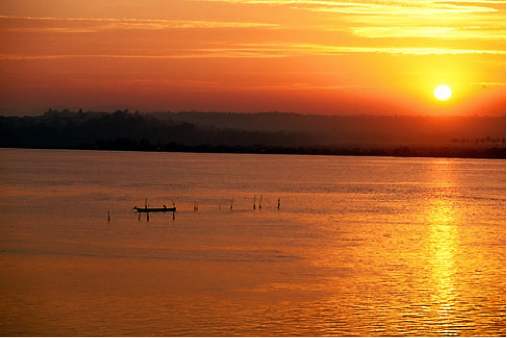 With some patience, one can stake out some amazing spots to catch the Sun against a breathtaking backdrop of the Mandovi River Bay, complete with ships on the pristine water and a fresh breeze that grows as evening wears on. b) Aguada doesn’t receive as much attention as Goa’s party-friendly beaches, thus making it a secluded treasure for the odd wanderer looking to catch a moment of introspection or a new profile picture. c) The serenity of the Bay makes it a perfect place to sit back, relax and take in the sights. While the unsightly bottles and garbage tell you that the place attracts all kinds, this takes away nothing from the peaceful vibes it invokes. b) Some visibility is necessary to find the right vantage points. It also makes it easier to spot the peacocks. 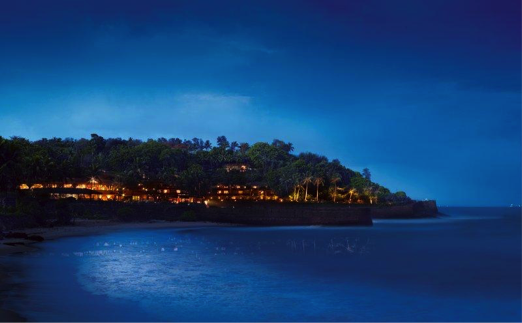 c) People often mistake Fort Aguada as the location of an iconic scene from the movie ‘Dil Chahta Hai’. 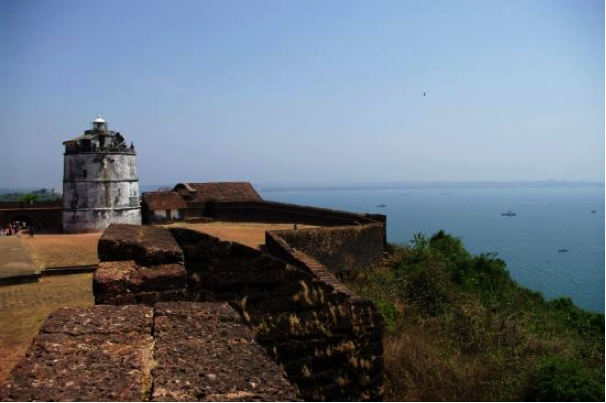 However, Chapora Fort in Goa is the true location for that scene.